Hectic schedules, stress and lack of sleep can all contribute to fatigue, which is a common and dangerous workplace hazard. Symptoms of fatigue include moodiness, drowsiness, loss of energy, and lack of motivation and concentration. These are not ideal qualities to display at your job. Not only does fatigue make you less productive and personable, it can also cause a serious safety risk if you work with hazardous equipment or materials. Eat a snack that includes complex carbohydrates and protein (like an energy bar or half a peanut butter sandwich on whole-wheat bread). Avoid sugar, which will make you crash later. Go for a short walk to re-energize yourself. Manage your stress, and get more sleep. Limit your caffeine intake to one or two drinks per day. Fatigue can also be linked to an underlying medical problem, psychological condition or sleep disorder. Talk to your doctor if you experience chronic or debilitating fatigue. Avoid junk food. Clean your desk or work area of junk food. This includes snacks like candy, chips or crackers. Bring leftovers into work. When cooking your dinner each night, consider setting aside portions for your lunch the next day. Not only does this make meal planning easier, but it can also save you money. Bring in bottles of water. Make an effort to drink water throughout the day. This can help energize you, supress your appetite and aid in weight loss. Snack smart. Snacks aren’t entirely off the table when you’re trying to eat healthy. Foods like dried fruit, jerky, nuts and applesauce are all good alternatives to unhealthy chips and candy bars. Lifting is a common activity in the workplace, an activity that can be potentially dangerous if the proper techniques are not used. In fact, lower back injuries caused by improper lifting are some of the most common work-related injuries. Look over the load. Decide if you can handle it alone or if you need assistance. When in doubt, ask for help. Moving an object that is too heavy or bulky can cause severe injury. Clear away any potential obstacles before carrying an object. Use good foot positioning. Your feet should be shoulder-width apart. Bend your knees. Bending over at the waist to reach for an object you want to lift puts strain on your back, shoulder and neck muscles. Keep your arms and elbows as close to your body as you can while lifting. Use your feet to change direction. Don’t twist your body. Accidents in the workplace can occur without warning, and it’s important to respond quickly to help those in need. In some cases, supervisors may not be around to provide the proper response guidance, and it’s up to employees to take action. Take control of the scene and try to restore order. Call for emergency services if needed. Provide any immediate first aid, if you are qualified to do so. Protect co-workers from potential secondary accidents. You can accomplish this by dismissing unnecessary personnel and denying access to the area. Identify people at the scene. If they witnessed the incident, be sure to make a note of their names, as they can provide a report on what happened at a later date. Notify upper management of the issue. Do not put yourself in harm’s way. Following an accident, follow up with your supervisor to ensure the appropriate paperwork is completed. Supervisors may require you to file an accident report or further detail what happened. If you have any ideas of how the accident could have been avoided, share them with your supervisor or at a safety meeting. If your workplace does not have a first responder program in place, it may a good idea to suggest it to your employer. 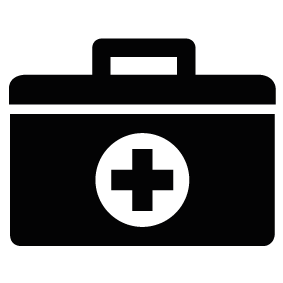 Trained first-aid responders can provide immediate care to workers who become ill or injured on the job. The quick response and training of these individuals can make all the difference following an accident.
? 2018 Zywave, Inc. All rights reserved.